Climbing Peg Boards- Do You Accept The Challenge? 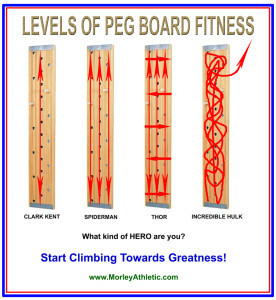 Climbing Peg Boards make you super! So climbing peg boards have been around for a very long time. In fact you probabaly had one in your high school gym. They are making a strong come back because they are simple and they offer immediate feedback… either you can or you can’t. Climbing peg boards are about much more than simply climbing up and down though. Many fitness bloggers and experts use them as an important part of their challenging workouts. If you have one board you can go up, over, down, up again, left, right, down, up, etc etc. Just keep going until you can’t do it anymore. Climbing peg boards offer a unique challenge in a small wall mount package that’s perfect for challenging yourself. 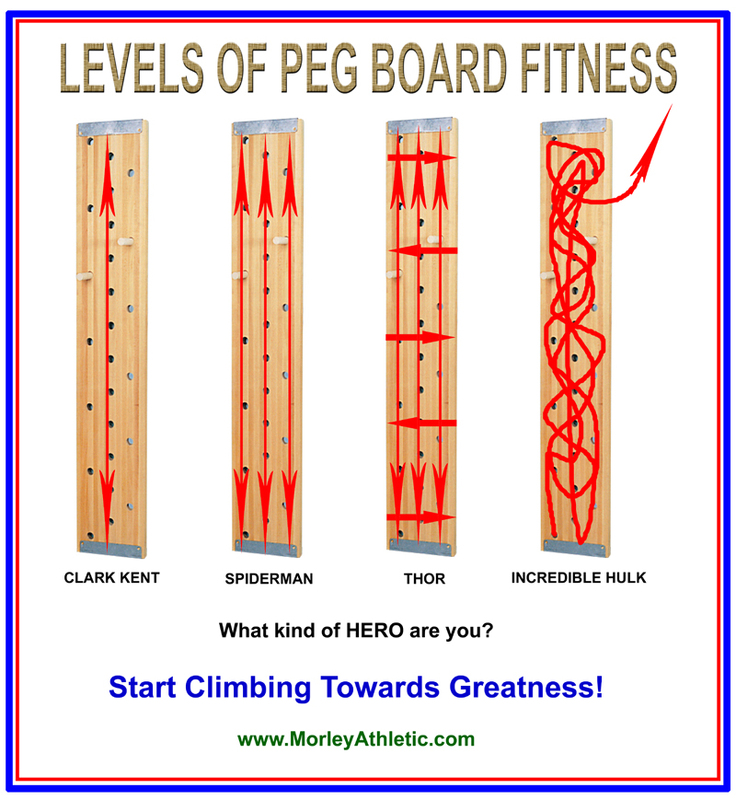 You can get two boards and have a little friendly contest with a work out partner or if you really want to make your gym the hot spot for peg board enthusiasts get a few different sizes. Mount them vertically and horizontally so you can climb up and across and down and across and more. There’s really no wrong way to climb a peg board so buy one and get going. You have nothing to lose and everything to gain.